Joining fellow residents for meals is central to community interaction and the Dining Hall plays a key part in College life. All residents at Sancta are offered 3 meals each day, generally in the Sheldon Dining Hall. For breakfast, students are offered a wide variety which generally includes a hot option. Lunch and dinner includes a selection of foods – hot and cold, and most dietary requirements can be catered for. Late dinners and packed lunches are arranged if residents cannot return to College at the designated meal times. Lazy brunches are available on Sundays and barbeques are held periodically. Formal Dinner is held for all students every Monday evening. 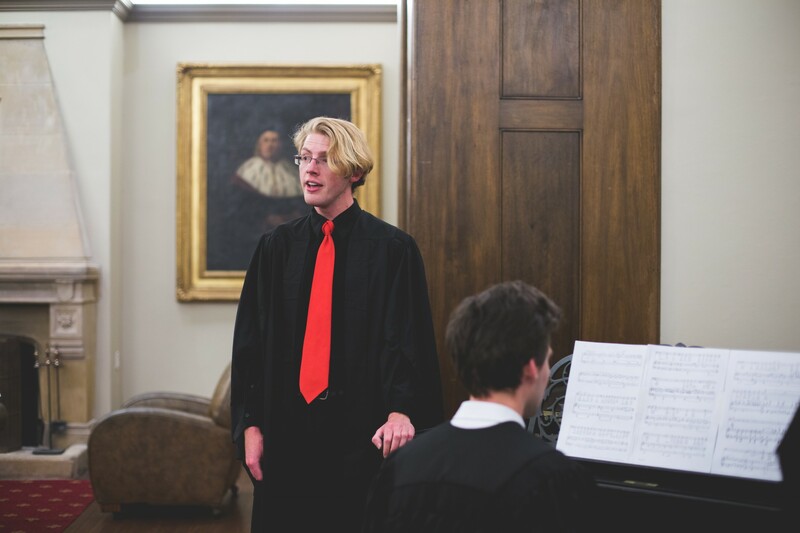 Formal Dinners are a highly valued tradition at the College. Sancta students come together in the Sheldon Dining Hall in academic dress for a special meal and a guest speaker, live music may also feature. It is an ideal occasion for all the sections of the College to gather together. Notable guest speakers present inspirational and informative talks on their career or field of expertise. Students are invited to chat informally with the guest speaker where appropriate.